Just over a month ago we posted a deal for Dell's 27-inch S2716DGR gaming monitor with G-Sync support and a fast 144Hz refresh rate. At the time it was marked down to $480. That was a good value, but it can be had for even less now. 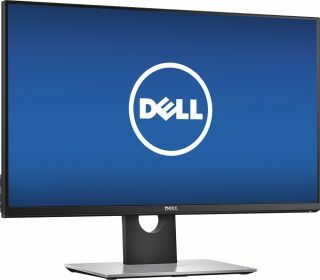 Using a coupon code, you can snag this monitor $410 and change direct from Dell. The monitor is on sale for $466, down from its retail price of $800 (it can be found on Amazon for around $536 from several third-party sellers). By applying a coupon we previously shared, EXCLUSIVE10, you'll save another 10 percent bringing the price down to $410.39. Dell's S2716DGR is a monitor that is built for fast action gaming. It uses a TN panel instead of IPS, and has a rated response time of 1ms. Go here to grab this monitor on sale.